November is here and Thanksgiving is right around the corner. The Sales Executives at The Trembley Group Real Estate are fortunate to be year-round residents of the Myrtle Beach area. Those folks fortunate enough to be year-round residents, seasonal residents, or regular fall-get-away visitors know that there’s not a more special place and time than Myrtle Beach and the Grand Strand in November. Sometimes life’s greatest gifts are free like a time-tested stroll on a Grand Strand beach even (or especially) at night. In fact, many prefer November’s mild temperatures to summer’s sometimes muggy weather. Something about the sounds of the crashing waves and the cool waters of the surf on your feet creates the perfect mood. But if a social afternoon or night out on the town is more to your taste, November offers some exciting and interesting activities. The 50th annual Belin BBQ and Fall Festival will be Saturday beginning at 9:00 A.M. Eat-in or carry-out. 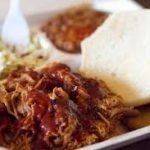 Only $10 will buy a mouth-watering southern favorite BBQ plate including pork, baked beans, coleslaw, and bread. The BBQ is prepared by the men and women of Belin UMC and supports their outreach efforts. The Fall Festival begins at 9 A.M. with craft vendors, bake sale, silent auction, and more. Food service begins at 11 A.M. Entertainment will be presented at the top of the hour from 11 A.M. to 1 P.M. So join your family, friends, and neighbors for a day of good fun and good food for a good cause! Events, performances, and dance contests held throughout the weekend. Before there was Rock & Roll, there was Beach Music. And it only makes sense that the birthplace of the genre would host the award show that recognizes the performers, producers, writers, and industry leaders that continue to keep the genre alive. The awards will take plan Nov. 12 at Alabama Theatre. The celebration of the CBMA Awards (originally called the Cammys for Carolina’s Magic Music Years) began in 1995 as an exciting party of performers and fans of Carolina Beach Music. Fourteen bands entertained at the first awards show held in Salisbury, NC. Those in attendance will never forget the memorable event. Charlotte, NC was home to the CBMAs for the next two years as the awards show continued to grow in size, scope, and quality. In 1998 the CBMAs moved to North Myrtle Beach, SC and the CBMA Weekend was born. During this festive weekend, entertainers perform at various beach clubs on both Friday and Saturday nights. A “Band Fair” is held prior to the awards show on Sunday afternoon and an amateur shag contest will be held Friday, November 10 at 3:00 P.M. Follow this link for an entry form. 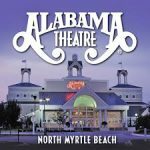 The mission of the CBMA Awards is to promote Carolina Beach Music, its influences and offshoots and the unique Carolina lifestyle by the presentation of a first class awards show that originates each November in North Myrtle Beach, SC. The show honors winners in various categories and remembers the pioneers who originated this music and helped make it great. Those honored are performers, songwriters, radio personalities, mobile DJ’s, dancers, producers, engineers, promoters and others who have been integrally involved with the music’s success. The further overall purpose is to keep this music alive by getting young people involved in this fun yet clean-cut music, to give the music its deserved recognition, respect, and credibility, and to bring diverse people together in an upbeat harmonious manner. The CBMA Awards have become an icon of Carolina Beach Music and the home of this southern tradition. Myrtle Beach State Park is an ideal spot for a walk on the beach, fishing, swimming, camping, picnicking, and more. The park is also home to one of South Carolina’s last stands of easily accessible, oceanfront maritime forest (featuring a nature center where visitors can learn more about dolphins, sea turtles, and plant and bird life). It’s easy to see why this beautiful state park is a must-see in Myrtle Beach. 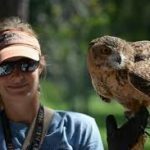 Every year, on the third Saturday in November the park hosts a program on Live Birds of Prey in Flight. Enjoy an awe-inspiring free flight raptor demonstration from the SC The demonstration is presented by the Center for Birds of Prey in Awendaw, SC. No telling what you might see – owls, hawks, or maybe eagles. Watch the birds soar above and around you as you marvel at their unique hunting and flying techniques. To ensure the safety of the live birds used in this program, no pets or smoking are allowed. Come out and support the 7th Annual Surfside Rotary Turkey Trot, the Myrtle Beach area’s largest Turkey Trot. The race features an oceanfront start and finish at the Surfside Beach Pier. Enjoy a 10K or 5K as racers wind through the beautiful streets of Surfside Beach. The course has Atlantic Ocean views throughout. Last year the race had over 1300 finishers! A contribution is being made to the Surfside Area Rotary Club to support their charitable works in the Surfside Beach community. The Turkey Trot is produced by Festival Promotions. Festival Promotions is the only local organization to organize a Turkey Trot and make donations to local charities.